fastjet, Africa’s low-cost airline, will begin operating services between Tanzania and Zimbabwe in August as it expands its international route network across Africa. The airline will launch a twice weekly operation from Dar es Salaam to Harare with tickets available from today for as low as US$50 (excluding government charges and taxes), significantly cheaper than fares from operators offering non-direct flights between the two cities. The announcement marks the third international route for fastjet which already flies from Tanzania to Zambia and South Africa. Despite strong commercial and cultural ties between the two cities, there is currently no direct air link between Dar es Salaam and Harare. The port at Dar es Salaam is used extensively by Zimbabwean traders and Victoria Falls in Zimbabwe and Zanzibar to the east of Tanzania are popular tourist destinations. 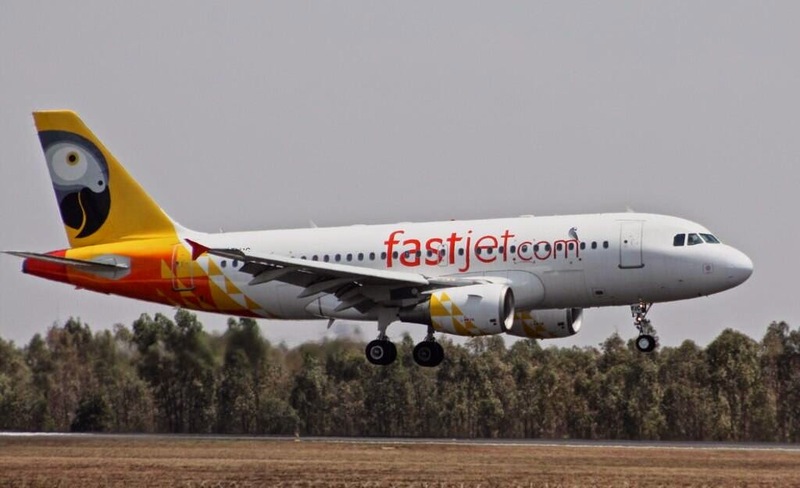 Commenting on the launch, fastjet Interim Executive Chairman and Chief Executive Ed Winter said: “We are delighted to be launching our third international route to Harare. The people of Tanzania and Zimbabwe are crying out for a direct air link between the two countries and today’s news moves us one step closer to becoming the continent’s first truly pan-African carrier. “When we began low cost operations 18 months ago, we promised the people of Africa that we would democratise air travel across the continent and we are well on our way to achieving that. We now look forward to offering fastjet’s service of affordable, high-quality air travel to the people of Zimbabwe. Last week fastjet was placed 5th in a league of the world’s cheapest airlines (WorldAirline.com) and the only African airline to feature in the listed top 25, validating that we really are bringing great value to our customers ”The first flight is scheduled to take place on 5 August 2014 with services operating on Tuesdays and Saturdays. Zimbabwe’s Transport Minister Hon. Dr O. Mpofu, said: The Government of Zimbabwe is delighted that fastjet is expanding its international route network to include Harare and that in doing so is bringing its low-cost, reliable and safe service to the people of Zimbabwe. “fastjet’s entry into Zimbabwe demonstrates the Ministry of Transport’s on-going commitment to the improvement of our country’s aviation industry and to the development of trade relationships with our neighbours. fastjet began operating low cost flights in 2012 and is now established as a reliable, affordable low-cost carrier. Over the past year, it has seen consistently strong passenger numbers and load factors, and maintained excellent punctuality and reliability records. The airline has carried over 635,000 passengers through its domestic network in Tanzania and internationally to Johannesburg and Lusaka, many of whom were first-time fliers.